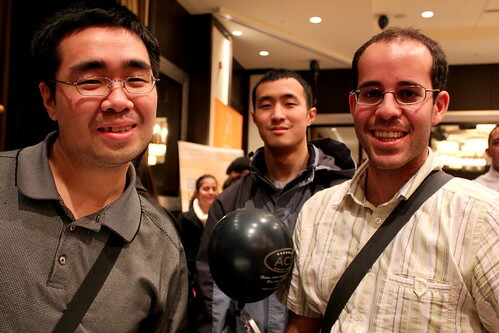 I participated in Cupcake Camp Montreal this year! Cupcake Camp Montreal is a charity event, raising money through cupcake donations and those who will pay to eat them. 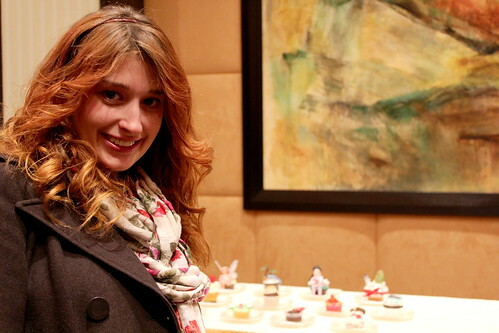 This year's charities were Kids Help Phone and La Tablée des Chefs, both worthy causes. 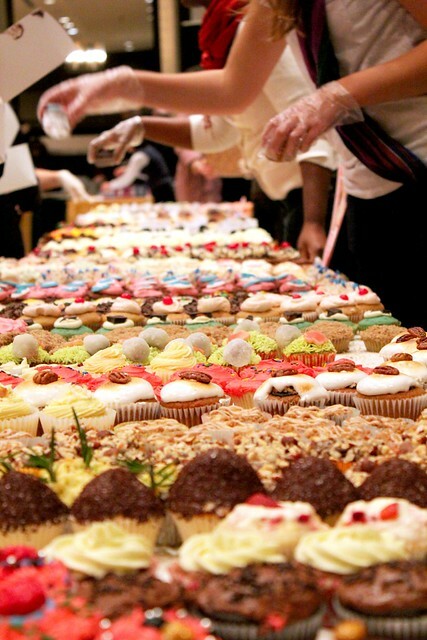 Almost 21,000 cupcakes were donated and thousands came to gobble them up (so much so that over 4,000 people had to wait outside in the cold to get in!). 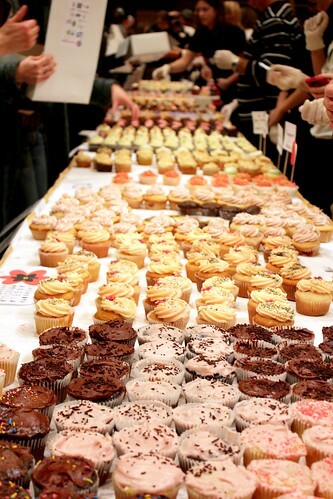 Over $31,000 was raised, making Cupcake Camp Montreal a rousing (and tasty) success! 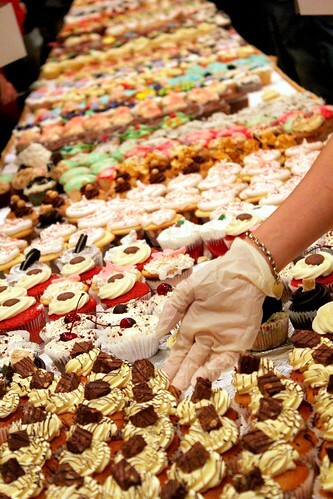 There were crowds and crowds of people on sugar highs, so navigating through the tables of cupcakes was a challenge. Claustrophobics beware! But if you are willing to face the hoards of people, you will have one sweet, sweet reward. 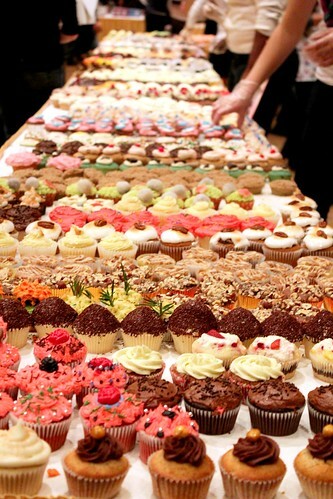 I couldn't get over how many cupcakes were in one place at one time. 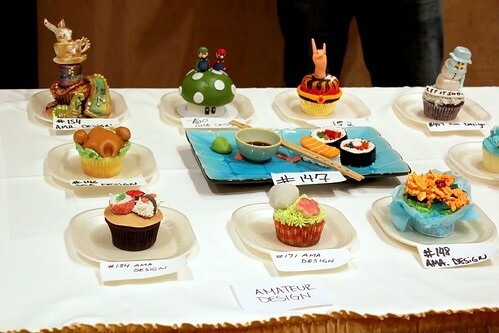 And how are you supposed to choose which to eat? Impossible! I managed to find a few to devour (after a long and thorough search for the best). Absolutely a deliciously worthwhile time. 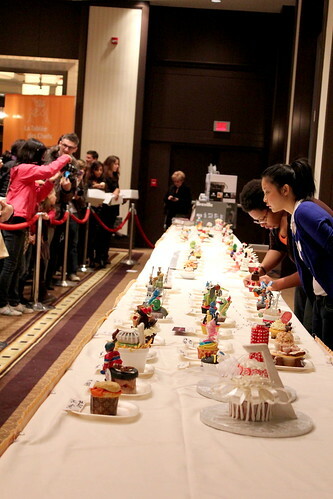 Cupcake Camp Montreal wasn't only a giant bake sale, it was also a baking competition! 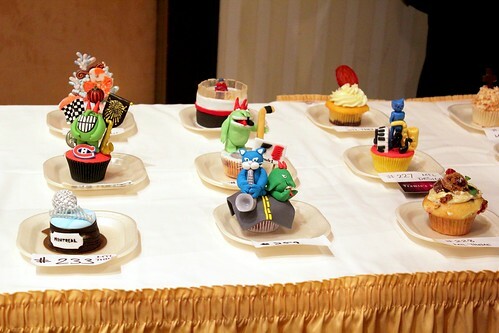 I donated 50 cupcakes for the cause and entered my cupcakes into both the Amateur Taste and Amateur Design categories. 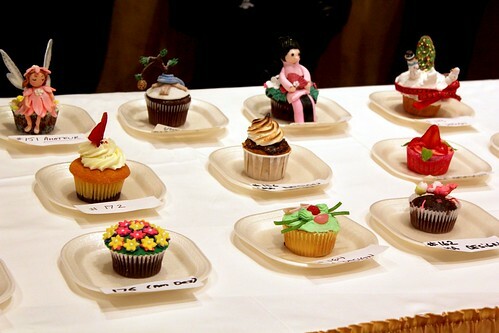 The cupcakes are subjected to a preliminary round of judging by a panel of qualified cooking instructors. Those that survive the cut are then judged by a panel of celebrity judges, including the likes of Chuck Hughes, Nadia G, Ricardo Larrivée, and Patrice Demers. Guess who made the cut for design? My cupcake is aptly named the "Please, Sir, Can I Have S'more?" 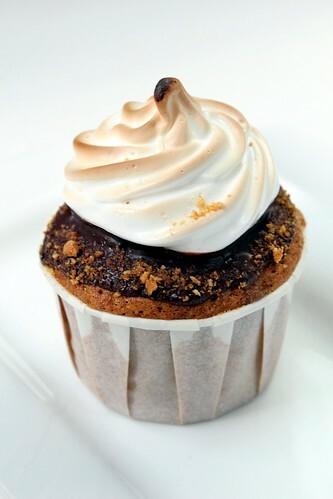 and features a graham cracker cupcake stuffed with marshmallow filling, covered in dark chocolate, and topped with a toasted marshmallow meringue. Isn't that a mouthful? For now I'm just going to tease you with the photograph (but the recipe will be coming soon so you can stop your protests of outrage). 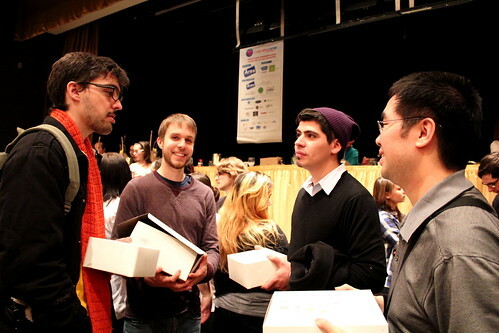 The finalists were placed on a special judging table and laid out for all to see. I was shocked to find mine among them (but oh so proud on the inside). It's right there in the middle! I even posed for a picture with it. Don't judge. You'd do the same. The design finalists were all so gorgeous. You could tell people spent a lot of time getting them just right. 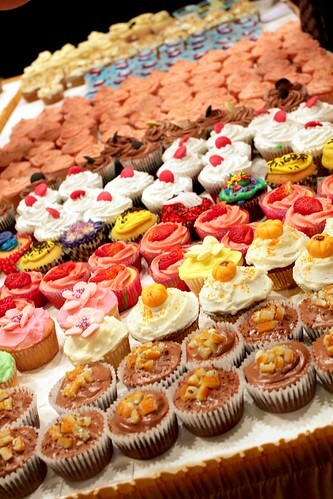 hard to accept an invitation to an absolutely indulgent cupcake extravaganza).